Richard is an innovator, motivator, and educator with a focus in the field of Exercise Physiology. He serves as the head trainer and manager at Body solutions Voorhees. Richard is a firm believer in credibility. The existence of over 600 certifications on the market today that do not require a trainer to earn a bachelor’s degree is an example of the lack of high standards in the fitness field. four years at Rowan he participated in varsity football and had the opportunity to play in the Div III National Championship game in 1999. Richard began his career with Virtua Health System as an Exercise Specialist. His experience with Virtua provided opportunities to work with a variety of patients suffering from various risk factors to normal, healthy clients who requested safe and effective exercise prescriptions. He feels that bridging the gap between physical therapy and fitness is crucial to the outcome of a successful exercise program. He came to Body Solutions where fitness and physical therapy work together to provide treatment and progressive exercise prescriptions. Richard competes in natural bodybuilding and walks the talk. He also enjoys spending time with his wife and his golden lab Sofie. Gavin received his bachelor’s degree in exercise science and personal training certifications in NSCA (CSCS), ACE, M.A.T. Jumpstart, and Total Body Reactivation (TBR) Levels 1 & 2. He has been a personal trainer for the past 17 years and has helped hundreds of clients achieve their health and fitness goals as well as athletes achieve their maximum performance capabilities. Gavin’s active life style and previous college football injuries had him searching for a solution to eliminate his chronic pain and aches. His research led him to an innovative method called Total Body Reactivation (TBR). TBR is a natural way to synchronize the body’s muscular system without drugs and/or surgery. He visited a TBR specialist to explore the possibilities and to sample the empowering process. He was astounded by the positive results of just one session and surprised at how well his body reacted. The tremendous results he experienced motivated him to enroll in the complex certification program so he could share these techniques with friends, family members and clients. The TBR training gives Gavin a deeper understanding of how the body functions and how to put the body into proper alignment. This specialized training works synergistically with his fitness certifications to give his clients the best workout possible. Today, Gavin is a certified Level Two TBR Specialist and he is helping many people realize the exciting benefits of TBR. All of his clients have shared similar success stories with his proven TBR methods. His goal is to help as many people realize the amazing benefits that their body has to offer. Jason is a passionate, hard working Fitness Specialist here at Body Solutions. Jason has the credibility of higher education in which he earned his Master of Science In Exercise Science with a concentration in Strength and Conditioning from East Stroudsburg University in 2013. Jason had also competed in the varsity sport of baseball while attending East Stroudsburg University. Jason has studied courses such as Advanced Sport and Exercise Psychology, Advanced Biomechanics of Human Performance, Physiology of Human Performance, and Physical Activity Across the Lifespan. With this background, Jason is able to maximize the quality of each training session. 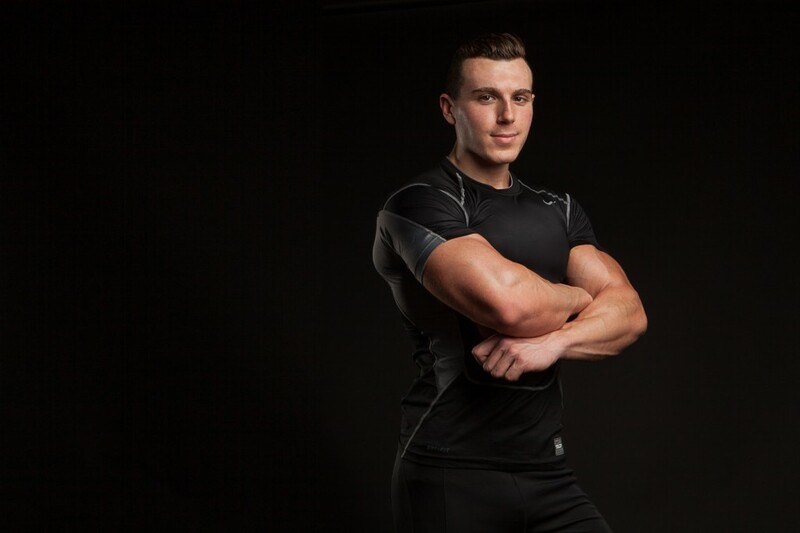 Prior to becoming a Fitness Specialist at Body Solutions, Jason had been an intern at the facility working under the supervision of Rich Pohler (head trainer at Body Solutions). Jason was also able to assist Steve Young (owner of Body Solutions) with physical therapy patients as needed. In the Summer of 2012, Jason had interned at Velocity Sports Performance in which he assisted with strength and conditioning classes. Through Jason’s experiences, he has worked with a vast variety of populations and had gained the ability to modify workout routines to their specific needs. Jason competes in the sport of baseball, playing in two different adult leagues during the summer and one adult league during the fall. Jason also enjoys working out multiple times a week as he is a firm believer in the benefits it yields. Jason spends most of his weekends spending time with his family and catching up with friends. Steve is a focused and eager trainer that is dedicated to his clients happiness. The excitement of meeting someone’s goals or making a strong life-changing connection with a client is accomplishing and fulfilling. Steve has 5 years of experience in fitness and has gained a lot of knowledge of living and teaching health and fitness with a certification from Penn Foster in Personal Training & Nutrition and having a W.I.T.S. Certification. qualified, aiming to go pro.